Hugh Jackman will return to Broadway to star in the 2020 revival of “The Music Man,” producer Scott Rudin said on Wednesday. Jackman will play the beloved and coveted role of Professor Harold Hill in the latest version of the Meredith Wilson classic. This “Music Man” will be directed by Jerry Zaks with choreography from Warren Carlyle. Performances are slated to begin on Sept. 9, 2020, with the official open set for Oct. 22, 2020. We’re not sure yet which theater the new “Music Man” will inhabit, but it’ll be a Shubert. 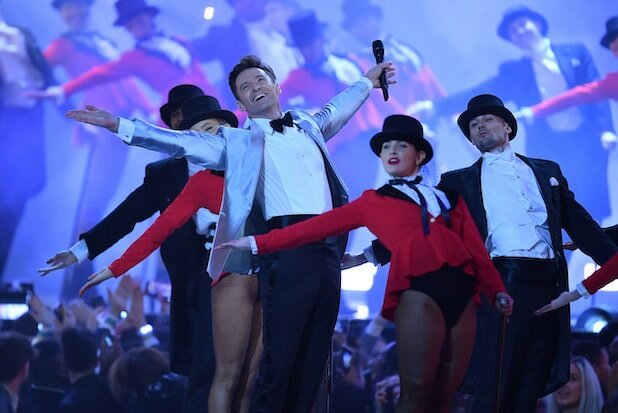 Jackman, who has played Wolverine in the “X-Men” films and starred in the 2012 big screen adaptation of “Les Miserables,” won a Tony Award for 2003 play “The Boy From Oz.” He was also the centerpiece of 2017 musical movie “The Greatest Showman,” portraying P.T. Barnum. Additional casting, including the role of “Marian,” will be announced later, producers said. “The Music Man” debuted on Broadway on Dec. 19, 1957. It went on to win five Tony Awards, including the prize for Best Musical, and ran for 1,375 performances.